This blog post is focusing on one of the most important real world issues – Memory Pressure. While testing on your own Computer or on some development server in a controlled environment, most of the time, if not always, you are not hitting any limits. There are no hundreds of simultaneous connections bombing your server with requests and there are no queries taking away all of your available buffer pool memory. 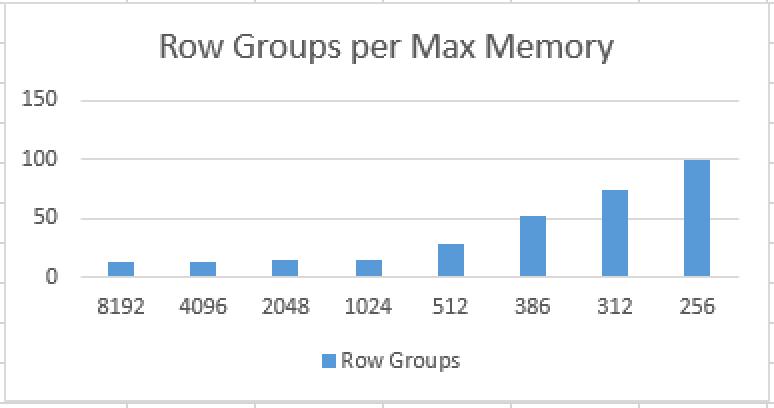 I have executed a couple of tests recently and while experimenting with the maximum memory settings to show the Spill process, I totally forgot to reset it to the original value and so while trying to rebuild a Clustered Columnstore Index, I was surprised with quite distinct values as the maximum size of the Row Groups that I was getting. This blog post is about diving into some of details that I have discovered since. I am running those demos on a VM with 4 Cores and 8GB of RAM which is using an SSD drive, and so please take in count that your times and final result might vary significantly from mine. As most of the times in this Clustered Columnstore Index blog post series, let us use Contoso Retail DW database which is freely available for download. First, let us try it out with 8GB of RAM available to SQL Server. 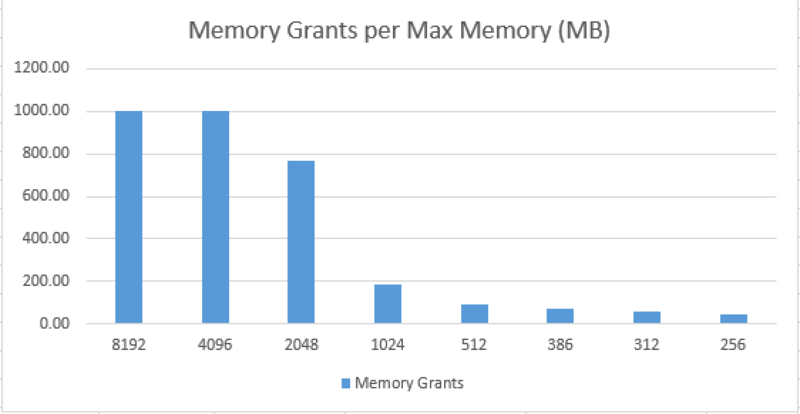 Our memory grant was 1GB, since we have enough memory available. Using the following query, we are able to find out that there are 13 different Row Groups created for this 12.6 Million Rows table. A very good and reasonable number in my opinion. I consider a Row Group with just 2 Rows to be an artefact which happens by some builds. I genuinely expect future builds of SQL Server to improve this situation, because there is absolutely no sense in having such a small Row Groups. Notice: I have rebuild the Clustered Columnstore Index multiple times and every time I did it there was a lonely Row Group with under 10 rows. 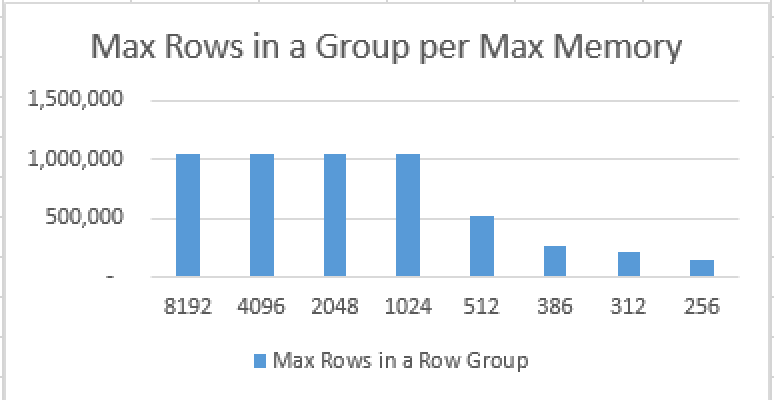 This has to do with some residual inefficiencies of the parallelism and as far as that Row Group is just one, it has less impact, but if we are using partitioning, than we are actually risking to have a high number of such Row Groups. 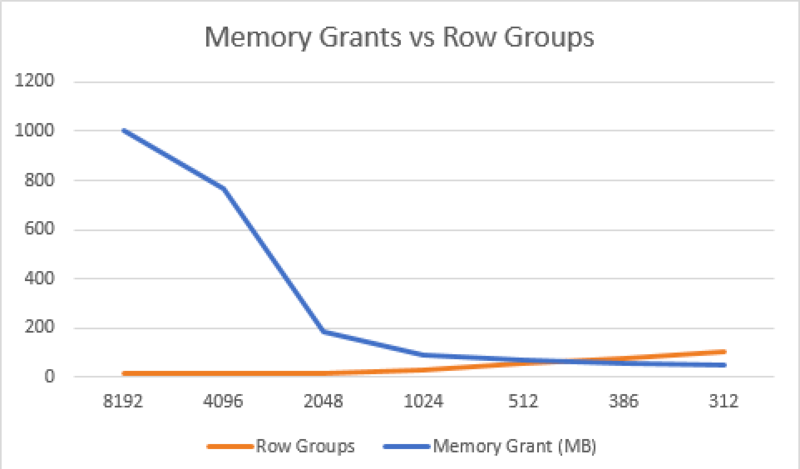 The memory grant dropped even lower to 182 MB but the number of the Row Groups as well as the maximum number of rows per Row Group stayed the same. AND we actually have 29 Row Groups which host up to 524.289 Rows at maximum. Rest to say that the actual execution time for any of those operations was very similar it went from 57 to 66 seconds, and while of course I do understand that I did not measure the CPU time and that it should vary, in the cases when you have enough CPU – this should not be your biggest issue. Clustered Columnstore Indexes are very memory hungry feature of SQL Server and not giving them enough memory is simply not an option. Besides using Partitioning for better Segment Elimination, Maintenance & Management purposes, one other key feature of SQL Server to be used for the Maintenance purposes is the Resource Governor. Giving Clustered Columnstore Maintenance procedures enough space and memory is a key for getting the best result. 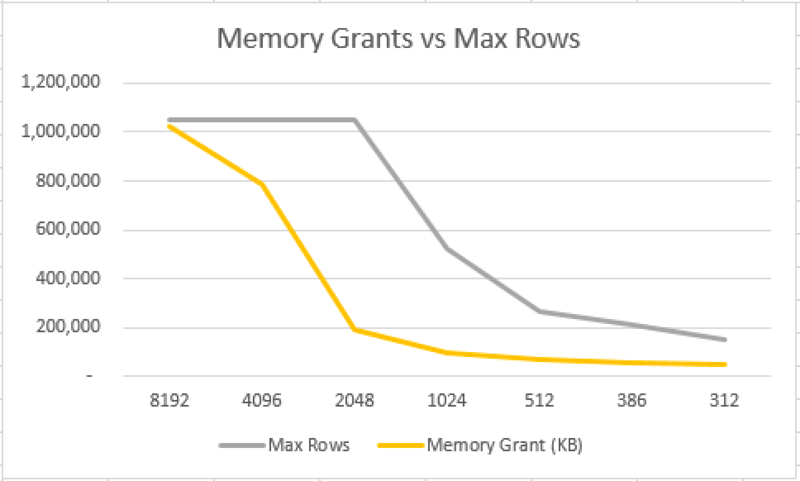 One other key limitation of the SQL Server is that in the default resource pool the maximum amount of memory that is granted to a query is 25%, and should you have really wide tables with a lot of columns, than you might need to give an extra edge to your build/rebuild processes. That is why in a real production environment you might consider creating your own resource pool for the Clustered Columnstore Indexes management.